NOTE: Re-Run release date: December 31st, 2018 if ordered on/after May 25th, 2018. 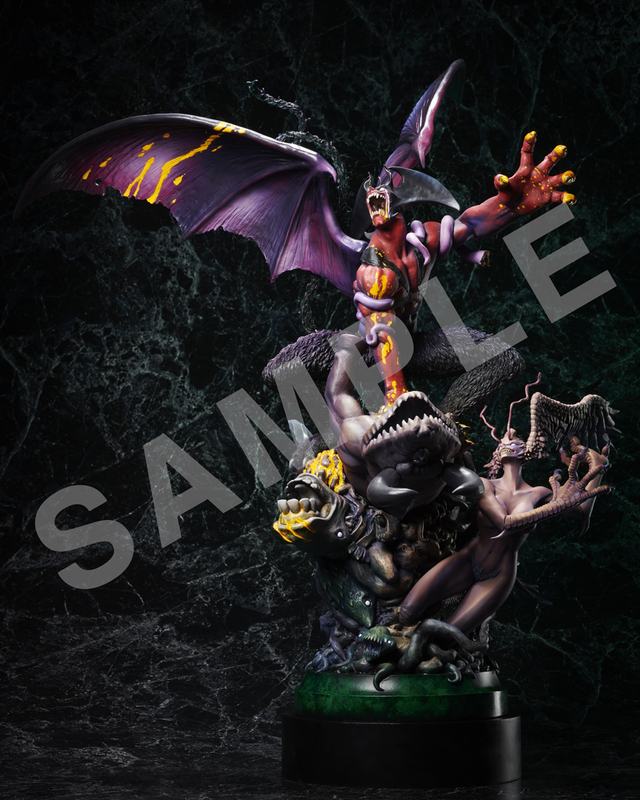 At a whopping 27 inches tall, the devastatingly ferocious “DEVILMAN crybaby” statue makes its worldwide debut! 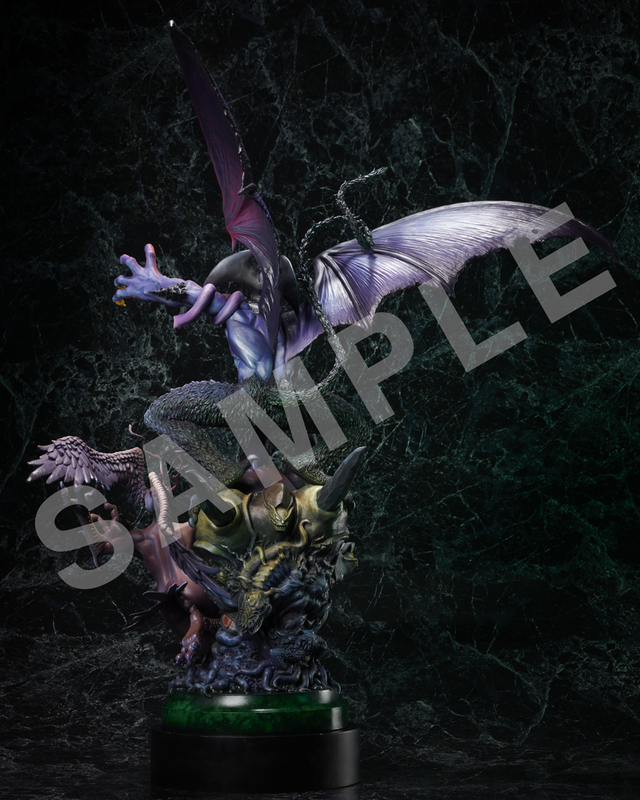 “DEVILMAN crybaby” Devil Design: Three-dimensional polystone statue based on Kiyotaka Oshima’s image visual with each statue issued a unique serial number on its base. Inspired by the teaser illustration of “DEVILMAN crybaby,” painter Kenji Ando uses striking colors to recreate the demon summoning Sabbath from the action packed series. 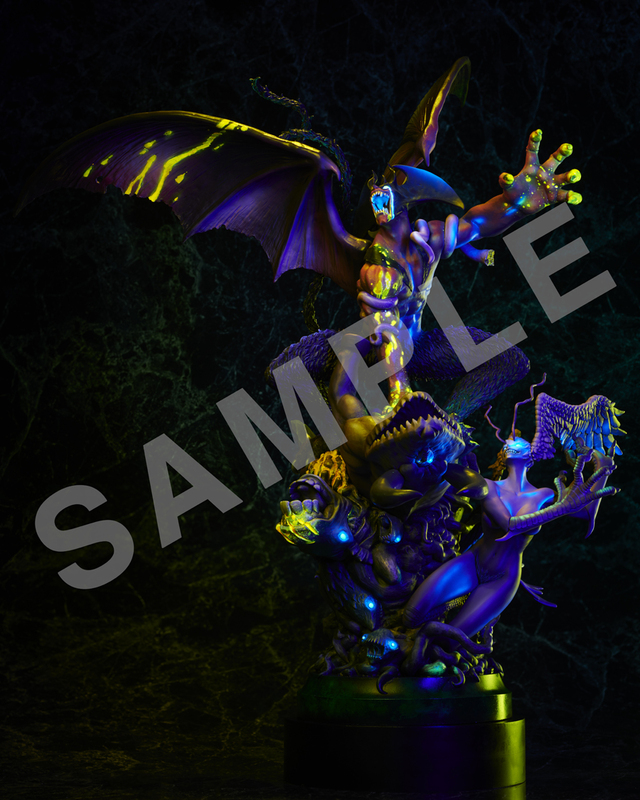 With an unprecedented and remarkable recreation of the DEVILMAN universe, the statue is also blacklight compatible revealing vivid colors even in the darkness! Go Nagai’s DEVILMAN universe comes to life, as the sinister Amon, in all his malice, takes form and overpowers several demons including Silene and Kaimu by pinning them down to the ground. The prototype’s stunning arrangement is designed by Shinya Akao/HEADLONG to match that of the original work with polystone fabrication done in cooperation with Gecco Corp. The resulting thick, heavy feel of the polystone accompanied by the immaculate detailing is one that cannot be replicated with PVC figures. Both Kenji Ando and Norifumi Dohi/FRANKEN are responsible for the coloring, and while the model is the same, the painter’s individuality can be seen within two completely different color schemes. Due to licensing and contract restrictions, this product can be sold and shipped to North America, Central America, South America, Australia, New Zealand, the United Kingdom, and Ireland only. It cannot be shipped to Japan. Both product details and shipping costs are subject to change.